The CNE band has a history of excellence dating back to the days of Martin McConnell and Paul Mann. In 2004, director Dennis Farmer turned over the conductor’s baton to Ohio University Alum Chris Moore. He added a grooving dance style and show band style music and drill to the band’s disciplined corps style marching fundamentals. In 2010, CNE band alum Josh Pritchard became the band’s assistant director and the official voice of the marching rockets. In 2013, Jenny Leiman was added to the band staff. The band has added members through the years, but they continue to strive to be better than the best ever. Under Mr. Moore’s direction, the band has performed in New Orleans, Louisiana, Toronto, Canada, the Chicago Field Museum, Virginia’s Shenandoah Apple Blossom Festival, Wilmington College, Miami University of Ohio, the University of Cincinnati, and Ohio University. The band has also performed Four times at Disney’s Magic Kingdom and Once at Disney's EPCOT Center. 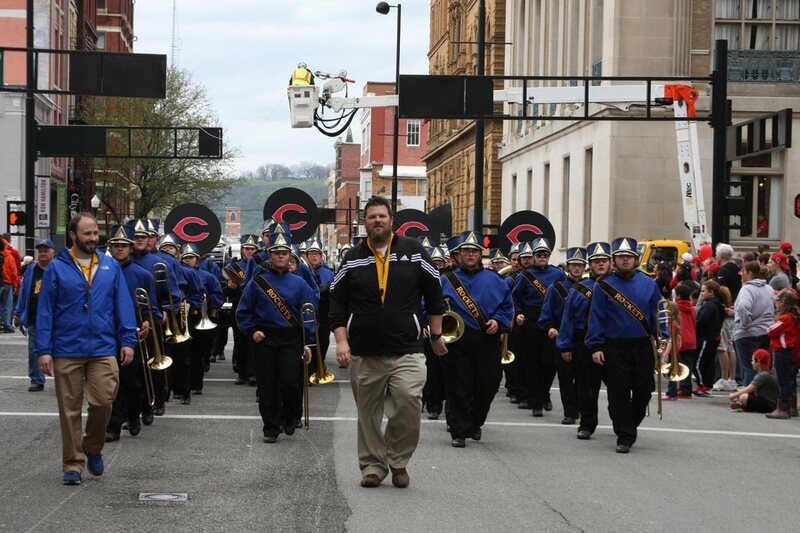 The Marching Rockets have also been featured in the Findlay Market Cincinnati Reds Opening Day Parade.